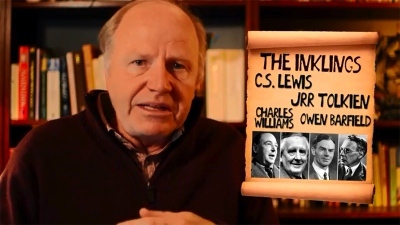 Ron Reed’s Indiegogo campaign for his Tolkien-Lewis New Play Project ends August 15. An apt comment on J.R.R. Tolkien, indeed, by Adam Gopnik in The New Yorker a couple of years ago. No doubt Tolkien and C.S. Lewis would have been astonished if they had been told that their fantasy writings – The Lord of the Rings, The Hobbit and The Chronicles of Narnia – would give birth to movie franchises bringing in billions of dollars in the 21st century. Even harder to imagine would have been works about the lives of the men themselves – but they too are on the horizon. Local playwright Ron Reed has just embarked on a long-anticipated ‘Tolkien-Lewis New Play Project.’ Having launched into the project with enthusiasm this summer, he is aware of, but not worried about, the movie projects. The friendship between C.S. Lewis and J.R.R. Tolkien, well known to some devoted fans, may soon be a star of the silver screen along with the elves, dragons, hobbits and marsh-wiggles of their creation. Tolkien & Lewis, an $18 million British film that will feature the strength and the strain of the famous friendship, is aiming for an Easter release, according to the Hollywood Reporter. . . .
At the same time, Fox Searchlight and Peter Chernin of Chernin Entertainment are working on a biopic of Tolkien’s life, titled simply Tolkien, which will focus on how his academic career at Oxford and his military service during World War I affected the creation of Middle Earth. What’s great about this project is we know this script will be staged. It happens that I’m the artistic director of Pacific Theatre . . . and I know that this play will be loved by our audience. The fact is that once Ron Reed the freelance playwright finishes writing this play, Ron Reed the artistic director is really likely to want to see this play on stage. Would [Tolkien] even have completed The Lord of the Rings if others, and especially Lewis, had not been egging him on, if they’d not had the opportunity to read these things to one another, would they have even come to be? Who knows? And in a way, this campaign is a little bit like that. There’s the opportunity to take part in the creation of this piece, and of course you can help us simply by helping fund it. But we’ve also kind of built a sense of community and involvement around even the way that we thank you for your gifts. . . . I feel a great sense of encouragement, knowing that there’s a lot of people who have their eye on this piece, kind of pulling for it, rooting for it – giving me a bit of that sense, like the Inklings, that there will be somebody to bring my new draft to, somebody who can hear this thing and bring it into the world. 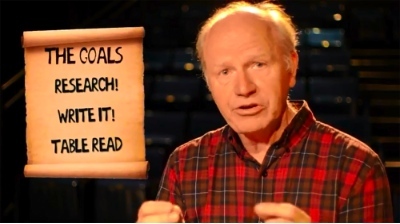 If you go to the Indiegogo site, you’ll see the ways you can become involved, from following Ron’s comments about the playwriting process (for free) on his Facebook page to receiving detailed notes of scenes – “hot off the press,” which may or may not end up in the play – or an annotated script (which come with a donation). Marcel: I think that much of both writers’ material is much better suited for a stage/theatre adaptation than anything else. Ron: I’m thrilled to hear you say that! I do love film, but the stage is my first love, and I think there are things that happen in live theatre that the movies just can’t do. The living, breathing actors are right there in the same room as the audience, and if the performances are radically truthful, the overwhelming sense of reality, of witnessing actual human encounters, is so powerful. Especially with so human (and nuanced) a story as this one. Marcel: Why this project, why now? Ron: To be completely honest, the real answer is ‘Because I feel like it.’ I only ever write to follow my own curiosity, explore something that fascinates me – never because something will have a market, or to say something to an audience. Running a theatre company, enough of my life is taken up with the hard-core realities of keeping a business alive, so when I carve out opportunities to live as an artist, I make very certain to invest the time and heart into things I really care about, as free as possible from the constraints of making money or achieving anything in particular – except to create the best piece of work I can, for my own satisfaction. That said, it does look like I happen to be tackling this at a cultural moment when there is a sudden surge of interest in Tolkien, and the Tolkien-Lewis friendship. There are two or three film projects in development which are suddenly all over the internet, one of which seems like it may be very interesting – the one about Tolkien’s WW1 years. And while they’re onto something with the connection between Tolkien’s WW1 experiences and the shadow they cast over him and his writing in the latter days of WW2, especially with his sons in active service, the tone of my play will be much more Shadowlands, much less Tomb Raider / Expendables 2. 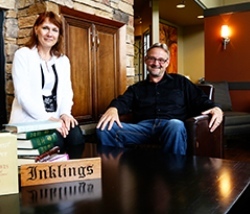 Monika Hilder and Stephen Dunning lead the Inklings Institute of Canada. Among the interesting tidbits I’ve already picked up from Ron’s Facebook page is that the first edition of The Fellowship of the Ring was dedicated to The Inklings, who apart from Tolkien and Lewis, included Owen Barfield, Charles Williams, Roger Lancelyn Green and several other Oxford literary figures. Fitting, after all the support they had given him with his writing. Anyone in the Metro Vancouver area who would like to know more about The Inklings is fortuitously situated, because the Inklings Institute of Canada was initiated at Trinity Western University just last summer. Co-directors Monika Hilder and Stephen Dunning both teach at TWU. The Inklings . . . began as informal gatherings between like-minded friends, usually at a corner pub called The Eagle and Child, or in Lewis’ Oxford rooms. During meetings, they discussed ideas and read from their emerging manuscripts. “In this, they experienced warm friendship in diversity and the inspiration and encouragement to persist in their writings,” says Hilder. For example, Tolkien, a perfectionist, might never have completed his epic novel The Lord of the Rings without the faithful encouragement of Lewis. 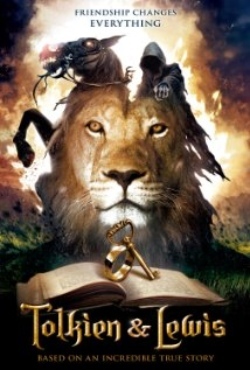 The establishment of the Inklings Institute couldn’t have come at a better time; the fantasy literature these authors penned has grown in popularity, due to film adaptations of Tolkien’s The Hobbit and The Lord of the Rings, as well as Lewis’ Narnia series. When Alister McGrath discussed his new book, C.S. 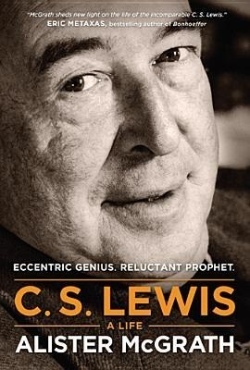 Lewis: A Life, at Regent College last summer, he said Lewis increasingly came to see that fantasy literature allows reason and imagination to work together, and that his Narnia series is a “retelling of the Grand Narrative” – a fictional illustration that our own story is part of something grander. The same can be said of Tolkien. For more detail on McGrath’s comments and references to a number of other Inklings-related books, go here.